Listen to NNNO Board members make the case on ReachMD radio for an Office of the National Nurse. See if you agree that nursing deserves a seat at the nation’s healthcare table. Click on the Play Program link to begin this program. The segment lasts about fifteen minutes and provides a complete overview of the Office of the National Nurse initiative. Interviews can be challenging and we would like to thank host Susan Dolan RN, JD for making us feel comfortable while she asked the questions. Thank you to President Jillian Inouye and the Board of Directors of the Asian American/Pacific Islander Nurses Association for their strong support for establishing an Office of the National Nurse. The Board of Directors of the NNNO congratulates all nurses who stand up to assure that health disparities are eliminated in our nation and to assure we have a nursing workforce representative of our nation's diverse and valued population. "Of all the forms of inequality, injustice in health care is the most shocking and inhumane." This quote by Martin Luther King Jr is particularly fitting as we honor and celebrate his life this January 20th. On behalf of the Asian Pacific Islanders Nursing Association (AAPINA) it is my pleasure to endorse and offer our support of the initiative to establish an Office of the National Nurse. We share the concern of the National Nursing Network Organization about the limited resources available to minority populations and would like to see greater nursing representation on the federal level to address disparity and highlight these concerns. As part of the 2.9 million nurses who are the most trusted of all health professionals, members of our organization are eminently qualified to speak to the issues of disparities and vulnerabilities. The elevation of the Chief Nurse office to the National Nurse for prevention will bring more visibility to the critical role nursing occupies in promoting, protecting, and advancing the nation's health. We applaud your efforts in highlighting the important contribution of nurses for your advocacy of the nation’s health. We strongly support the re-introduction of legislation that will create the Office of the National Nurse. If further information is needed or other support please do not hesitate to contact us. Thank you to Kathy Quan RN BSN PHN who authors The Nursing Site Blog for giving the National Nursing Network Organization permission to reprint this article from her website. "In the January, 2009 issue of the American Journal of Nursing (AJN), Roxanne Nelson BSN, RN poses the question of whether or not the idea of a National Nurse for America has stalled. 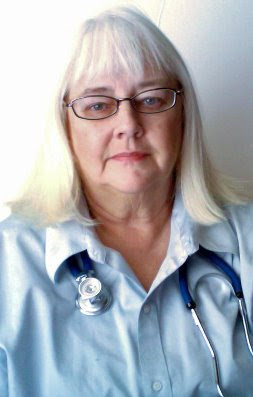 When Teri Mills an NP and nurse educator from Portland OR originally proposed the idea in May of 2005, she suggested the creation of an office of a National Nurse in her op-ed piece in The New York Times. Isn't it time to have a National Nurse and some true representation within the government? Find out more about the National Nurse campaign . Advocate for ALL of the changes we need to adequately address the health care crisis; not just a select few." 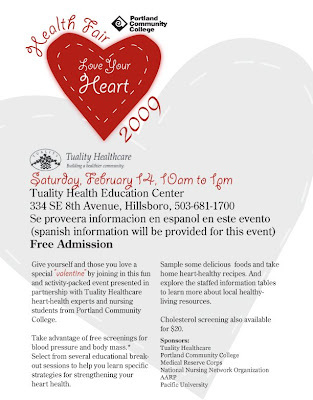 On Saturday, February 14, 2009 from 10 a.m. to 1 p.m Portland Community College (PCC) nursing students will partner with Tuality Healthcare, the AARP, Medical Reserve Corps (MRC), the National Nursing Network Organization and the PCC Student Nurses Associations, to present ‘Love Your Heart’ healthy living fair. The event will take place in the Tuality Health Education Center located at 334 S.E. Eighth Ave in Hillsboro, Oregon. The goal is to educate citizens of Hillsboro and surrounding areas about preventing heart disease and promoting healthy hearts. Spanish information will be also be provided. 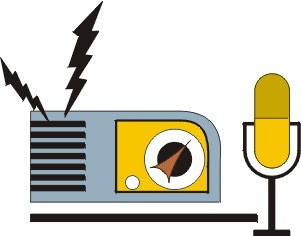 The AARP will be available to talk about services their organization provides and the MRC will provide information about emergency preparedness. Groups of 3-4 student nurses will provide tools to promote health literacy in English and Spanish that integrate the following topics: nutrition and exercise, living well with chronic disease, depression and caring for the care giver, diabetes and heart disease, immunizations, tobacco education, hypertension, stroke and peripheral vascular disease, screenings such as blood pressure, glucose, cholesterol and body mass index. Within each station, students will talk one-on-one with clients to determine potential risks, current health status and health literacy. Students will then encourage clients using motivational interviewing to take steps towards improving their health and living with a healthy heart. An evaluation tool will be included in order to gain awareness of what worked and what did not for each participant that join us at the fair. If you live in the Portland Metropolitan area, you are welcome to join us and we look forward to greeting you.